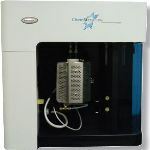 The NOVAtouch™ series gas sorption analyzers offer excellent performance and increased throughput for BET surface area and pore size analyses. 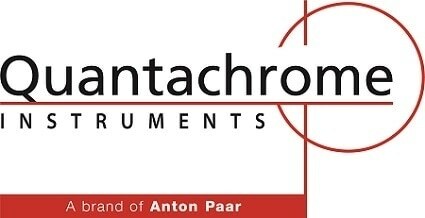 Quantachrome offer eight models as standard and advanced LX versions comprising 1-to-4 analysis stations, four built-in sample preparation ports and a dedicated Po station. 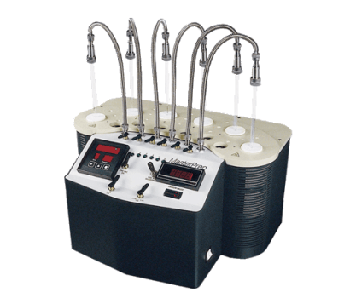 The NOVAtouch™ series is capable of generating BET surface area results using the traditional helium void volume technique, or using the patented helium-free technique. 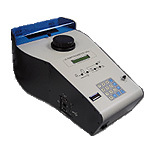 Each NOVAtouch™ device acts as a pore size analyzer with the capacity to measure both adsorption and desorption isotherms with BET surface area results ready in a few minutes. The pharmaceutical option includes TouchWin™ software that provides elements required by the Pharmaceutical Industry for 21 CFR Part 11 compliance. To enable a considerable increase in productivity, simultaneous analysis of up to four samples with NOVAtouch 4/LX4 is possible. Instrument operations can be performed remotely or locally. Carbon for rubber, adsorbents (water purification and gas separation), inks, gas masks, laser printers and copiers. Catalysts for the fertilizer, automotive, fertilizer, petrochemical and fuel cell industries. Minerals such as clays, alumina, hydroxyapatite, phosphates, pigments, silicas, zirconia, etc used for abrasives, adsorbents, biomaterials, ceramics, cements, desiccants, fillers, papers and paints. Organic materials for chromatography, adhesives, cosmetics, detergents, foodstuffs, explosives, ion exchange resins, pharmaceuticals and plastics. Powdered metals and ferrites for batteries, pressure formed/ sintered products, electronics, magnetic tape and magnets. Other applications related to bone, composite materials, fibers, rigid foams, soil, sludge, slurries, suspensions, well cores, and many more.